The world of media is in the midst of a major transition, where radio and television are no longer the powers they used to be--and there's a clear shift towards some unknown future online. 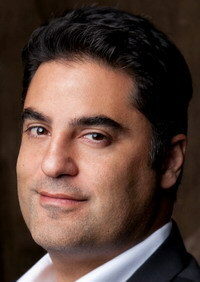 One of the folks in media who has been helping to define that shift is Cenk Uygur, the head of Culver City-based The Young Turks (www.tytnetwork.com), and online news and politics show. We caught up with Uygur--who has had his own show on Sirius Satellite Radio, hosted MSNBC Live, and currently has his own show on Current TV--to learn more about The Young Turks, his online efforts, and his views on how media is shifting to the Internet. For the readers who aren't familiar with your show/channel, tells us about what you're all about? Cenk Uygur: We do news coverage, and dominate the field online. We operate the largest online news network overall, with about 1.25 billion views. We have fourteen owned and operated and twenty-two partner channels. Our main show focuses on current events, news, politics, and pop culture. Our other shows are about sports, entertainment, movie reviews, university news--all of the things that fit under the umbrella of news. We also have a television show, which is not connected to the network. How did the network come about? Cenk Uygur: I worked in radio for awhile, and was a TV commentator and producer as well. I started Young Turks back in 2002, and then, in 2006 and really towards the end of 2005, started daily web streaming for the show. We're now the longest daily web show, ever. At the time, we were also still on radio. We were doing both, but what was great about being online, is there were no gatekeepers--we got to put it up and see how it did, and see how the audience would respond. The thing that allowed us to do this differently from normal radio or TV, is we were able to post things that our audience was really interested in, and met the market need. Unfortunately for the rest of media, it's also allowed us to be honest with our audience, which they are not doing much at all. Our success online, ironically, led to TV contracts with MSNBC and Current. There, of course, trying to do my brand of independent programs on MSNBC ran into issues. We had very good ratings everywhere we went, and we were the best rated show at 6pm for MSNBC when we left. We found out we had something that was working, by mainly reaching the audience that traditional media isn't reaching with their teleprompters and big anchors. How did online figure into your plans when you started The Young Turks? Cenk Uygur: I was a huge believer in online, even before day one. Back in 1997, I had emailed my friends telling them that online video would be the future, and I was going to go there. They sent me back skeptical emails saying that it would never work. Back in 2005, we even had Sirius Satellite Radio tell us they'd pay us a quarter million to not do online video. They wanted us to work for them, and wanted it to be exclusive, and they said they'd take away our contract if we did any online video. They felt that going to people online was against their philosophy. We turned down that money, which was a ton of money at the time, because we thought we'd do online video, hell or high water. It's been very gratifying to see that it works. How much of your strategy revolves around Youtube? Cenk Uygur: We're not exclusive, although YouTube has been absolutely great to us. Some people make the mistake of not being on YouTube, and live to regret it. The reason is, YouTube has the audience. Philosophically, we're not wedded to one company or platform, and will go where the audience is, which just happens to be on YouTube right now. We are on other platforms, and we will be on even more platforms going forward--everywhere the audience is. Every day we look after that, make sure on top of things headed so we don't miss an opportunity to spread the word, and get to as many people wherever possible, anywhere online. There are lots of folks looking to figure out how to make a daily show and not have it cost a fortune. Is there a strategy or formula you use to make things work online? Cenk Uygur: There's an old cliche, which is you don't want to make things perfect. You have to get it put together, and put it on the air, and fix it as you get online. If you have people who are obsessed with getting your production just right, and that it has got be perfect, you're never going to make it. The bad news is, things are never perfect, you'll never be perfectly satisfied, you'll never fix it. You just have to get it up and start doing it. I have a big belief that what you have to do, is get it on the air. We made hundreds of mistakes, and our audience grew up with us and saw us through all of that. They feel like our family. They know we're trying hard, and they're patient with us through all of the technical difficulties we ran into over the last seven years as just a ragtag group. It started putting it on the air, and got better every single day, and we were able to take it to a pretty good place where we could add resources, to be able to afford better production and better technical support. Just do it. People who are overworried about production are never going to be able to a production right anyway. The audience is your best friend in production, and helps you figure out which way to go. We were interested to see that you also have a subscription model in the mix? Cenk Uygur: A lot of our revenue comes from advertising on YouTube, but a lot also comes from our subscriptions. That sustained us for all of those years and the rough patch between radio, and leaving radio to do online video, contractually, and helped us financially and allowed us to get to a sustainable, profitable model online. Our members carried us, absolutely. We wouldn't have been able to do it without them. It's been great in a couple of ways, in that it bonds you with your audience, and it gives you an extra source of revenue, which was absolutely needed in our lean years, and was critical to the growth in those years. I think it also aligns our financial incentives in the right way. I think, in a lot of ways, television ends up serving someone other than their audience. Television serves advertisers, corporate executives, and serves people they need to be able to access, such as politicians. It doesn't serve their audience. I believe in setting up a proper incentive system, and the subscriptions are a win-win for everybody, because our financial incentive is to serve our audience, otherwise they'd leave us and we'd have less money in terms of subscriptions and members. So those subscriptions allowed you to get closer to your audience than traditional media? Cenk Uygur: Yes, because they're in close contact with us, and if they're unhappy about something, because they're paying us $10 a month, they let you now about it. That's not a small amount of money nowadays. They have every right to let you know about it, and have you respond to them. If they aren't satisfied about something, that helps make our show better, by fixing it. What they're paying for is convenience, more than anything else. They get the whole show, plus a special pastgame show just for members. That allows us to tell a more personal story, in that extra fifteen minutes which we do every day, and helps connect us as a family of people. They hear more about those issues and get the show without ads, whenever they want, with video or audio. And, they're vigilant about making us better. What's the future of media, and where are you hoping to take what you've done? Cenk Uygur: Honestly, I have grand ambitions, and one of my ambitions is to change the media. It could be in small ways, such as people recognizing what works financially. I think subscriptions, combined with the ad model, is the right way to go. But that's not what I'm talking about. I'm talking about the giant failure of media to be honest to their audience. You have actors reading teleprompters who have no connection to their audience, and who are not honest to that audience. They treat politicians and celebrities as demigods and honorable, when the audience is perfectly aware that the opposite is true. Our hope, is that we can use one of the main failings of media, to change the media. That failing is there is not a lot of original thought in media, and they love to copy what works. We are figuring out something that works, and the media will copy it. Wouldn't that be a lovely thing? To have them copy something that, and give a damn about their audience, and is honest to us. It's an interesting model. Getting them to copy the model of being honest, by being successful with what we're doing. We're trying to get the media to copy us, not because we care about being emulated, but because we're trying to get them to be honest with their audience. If we can get the rest of media honest, because they want to be financially rewarded, that would be a lovely side-effect of what we've done.